Early last year, MTN introduced YouTube Hourly plan that all MTN Subscribers are eligible to use. YouTube as the biggest video search engines in the World owned by Google have be tremendous to our everyday Video content for Movies lovers, jokes, sports, highlight of events among others. MTN has a way to shower their customers with much goody bags that is why they introduced the YouTube Hourly packs for all customer and specially for those who vent their trades in watching YouTube videos in their Everyday activities. I have shared on this blog MTN YouTube Night Plan Ehi Config to Power All apps Using Http injector but the host have been blocked by MTN so which means you can still use Your YouTube subscription to power All apps on your device but this time with a different settings Entirely. 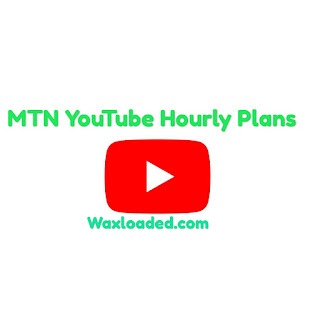 I will brief you guys on the new 2019 MTN Revamped YouTube Hourly Plans and how to Subscribe to it to watch your favourite YouTube videos. Simply text in an SMS, VP1 to 131 cost N150 to enjoy the package and watch your favourite Videos on YouTube. Simply text in an SMS, VP3 to 131 cost N400 to enjoy the package and watch your favourite Videos on YouTube. It is just like the others mentioned above but this is a night pack which is only usable at Night, it is cheap as compared to others, the time frame you can use this MTN YouTube pack is between 12a.m - 5a.m and if you fails to enjoy your pack between the stipulated time, it expiry and there is no rollover, for you to continue to enjoy this you will only need to resubscribed to the pack capped at 500mb. Simply text in an SMS, VP5 to 131 cost N50 to enjoy the package and watch your favourite Videos on YouTube. MTN has always been wary about anything unlimited, even if they have to do that then Your pocket will have to feel the vibe except if they had to change their mind another day. All these hourly Plan are limited to 500mb, 750mb and 2.3Gb respectively so do not be DECIEVED that it is unlimited, that is all Guys if you have any questions about MTN Revamped YouTube Hourly Plans and How to Subscribe please Comment below..